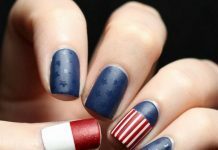 Home Gel Nail Designs Gel Nails vs Shellac: Which One Should You Choose? Most girls spend a lot of time doing their nails. No, it isn’t just because painting them makes them look pretty. It’s a time to pamper ourselves, too, and sometimes an escape from this stressful world. 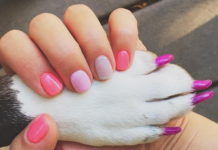 If you love doing things to your nails, you’re probably up-to-date with the latest trends. For now, let’s compare two long-lasting polishes—gel nails vs. shellac. Gel can be classified into two types: soft gel and hard gel. Soft gel is gel products that are very soft so they can’t lengthen nails. Examples are thick gels or gel polishes used for gel-overlay services. Meanwhile, hard gel is tough enough to make a nail extension once cured. Nail extensions are nail products that are used to extend the nail’s length beyond the natural nail. Artificial nails are examples of nail extensions. Both gel types require curing. Curing is done with a UV (ultraviolet) light, which can either be a LED lamp or a UV lamp. Curing is the process where the gel is hardened so it instantly sticks to your nails. So compared to regular nail polish, this means no drying time! The nail technician begins with a standard manicure. Then, he/she will file the nail bed using a buffer or a nail file. Next, he/she will apply alcohol to dehydrate the nail bed so it’s free of oil and dead skin. A layer of base coat is then applied to prime the nails for the gel. It is cured for about 30 seconds. Layers of gel polishes are then applied depending on how opaque you want it. Each layer must be cured under a UV lamp for about 30 seconds before applying the next layer. A glossy topcoat is then applied and cured for about a minute to wrap it up. The result? Glossy, natural-looking nails that can last for up to 2 to 3 weeks. Plus, they don’t chip, peel, or crack. Lastly, he/she will use alcohol to remove any sticky residue. To take it off, the nail technician will buff the nails to remove the shine. He/she then pours pure acetone in a cotton ball, place it in your nail, and wrap your fingers with a foil. This lasts for about 10 minutes. Then with a cuticle pusher, he/she will scrape off any excess nail polish so your nails look good as new. We’ll start by saying Shellac is a brand—again, it’s a brand! It is made by Creative Nail Design (CND) and is thinner compared to gel polish. It’s considered as a hybrid—meaning, it’s part gel and part regular nail polish. This is the reason why some clients think they’re both gel polishes. And just like gel, Shellac needs to be cured. However, you can only do this under a UV lamp or a CND LED lamp. Your nails are prepped using a traditional manicure. 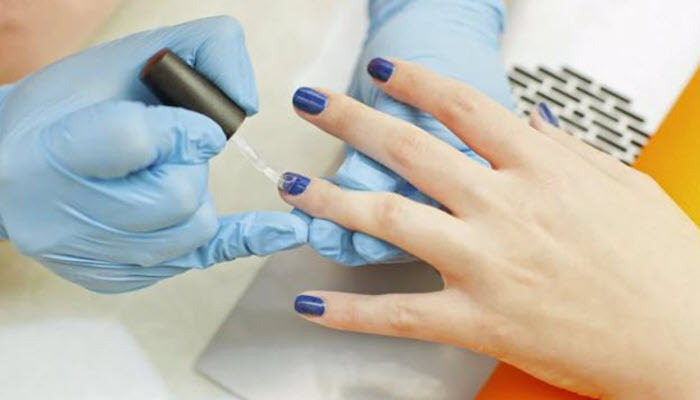 The nail technician will shape your cuticles and dry your nail bed using alcohol. Notice how it doesn’t involve filing the nails, unlike gel polish. A layer of base coat is applied and cured for about a minute. Layers of Shellac nail polishes are then applied, with a curing time of a minute between each layer. Then, you finish it off by applying a glossy top coat and curing it for another minute. The result is just like gel: glossy and natural-looking. It also doesn’t peel, chip, or crack and can last up to 14 days with proper care. After the 2 weeks, the nail technician will place a cotton ball with pure acetone on your nails and use foil to wrap it around your finger. They can also use CND remover wraps if they have those. This process lasts for another 10 minutes. Excess polish is removed using a cuticle remover. Notice once again how they don’t buff the nails to remove the shine. It’s best to go to a salon when having your nails done for both polishes. 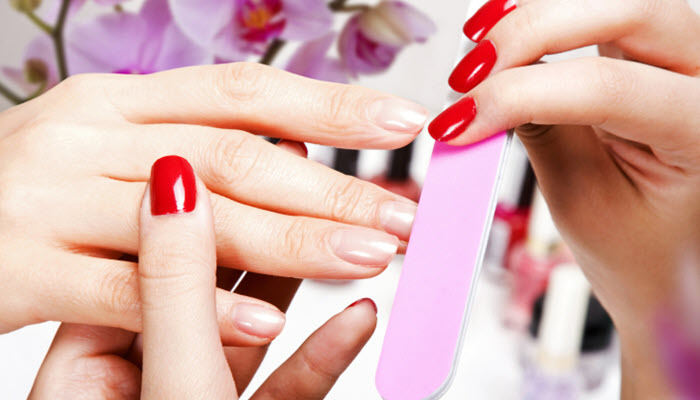 Salons have products and the equipment needed for a flawless manicure. Visit the salon after 14 days for necessary touch-ups. 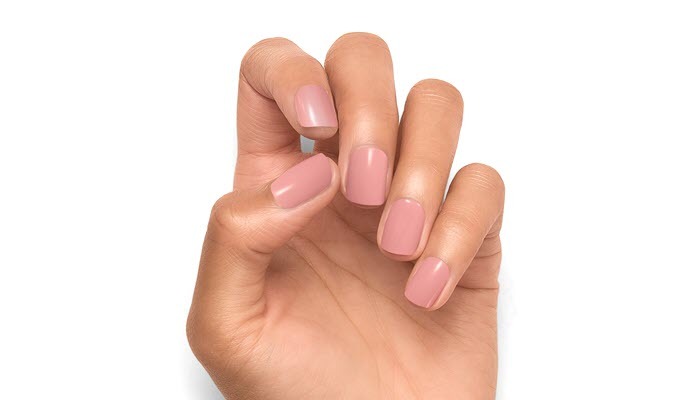 The gap between your cuticles and the polish will start to show as your nails grow. 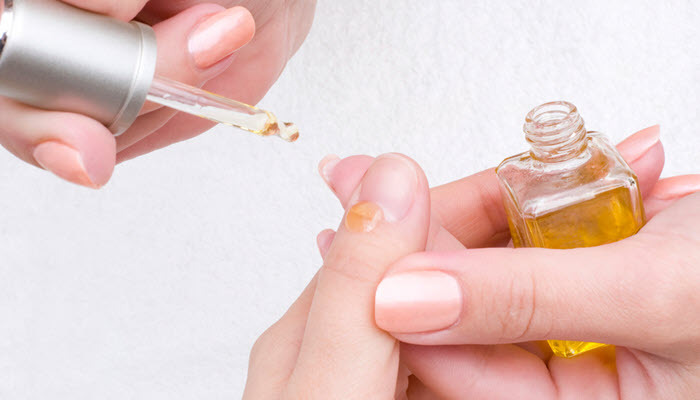 Apply cuticle oil to your nails after removing the polish. This helps bring back lost moisture from exposing them to acetone. 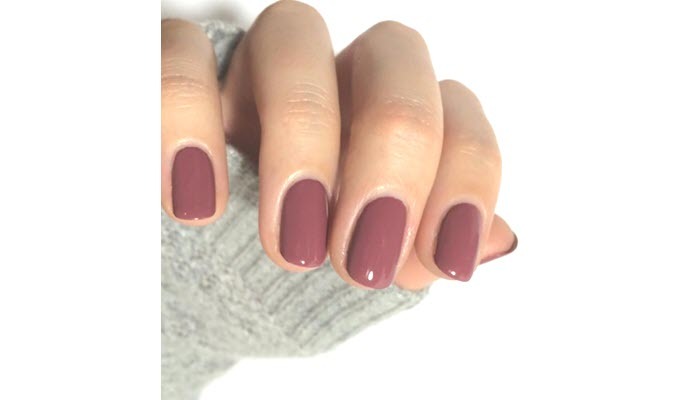 Gel and Shellac polishes are great options for long-lasting nails. So, it is up to you which one you’ll get and think works for you.